Missouri British Shorthair Rescue View other British Shorthairs for adoption. Thank YOU for checking me out. 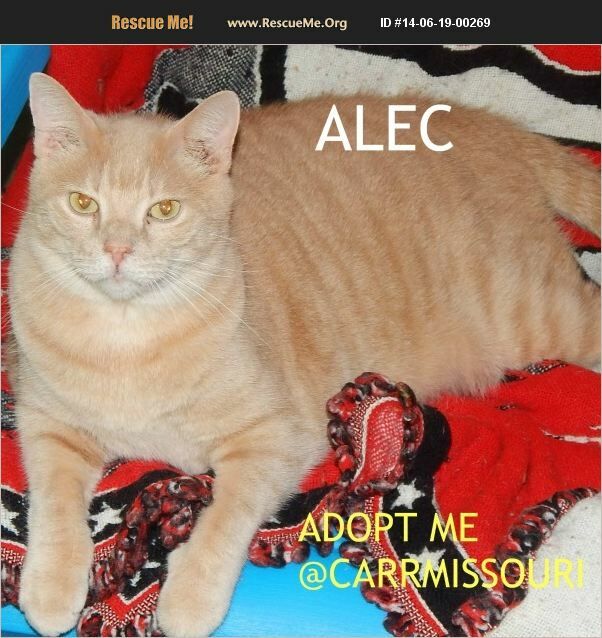 If YOU would like to come meet me in a really relaxed, aromatic and welcoming environment at our pad - - just let our awesome volunteer staff here know by sending them an inquiry at: carrmissouricampus@gmail.com To see our vet medical care provided and adoption process please visit our website at www.carrmissouri.org. Be sure to tell them YOU want to see ME, as when you schedule your private appointment with ME, the others here will try to win your heart. Here we aren't in cages (unless we don't feel so well) and our gals want YOU to touch us, play with us and get to know us (not like those other places). They really pay attention to us here and will tell you all about ME. There motto here is the difference between ordinary and extraordinary is that little extra.